One goal that I have worked hard to maintain is creating a faith focused family. I want my children to grow up knowing that God is the center of my life and the center of our family. But, you know, it’s not easy, no easier than keeping Christ at the center of our own lives. 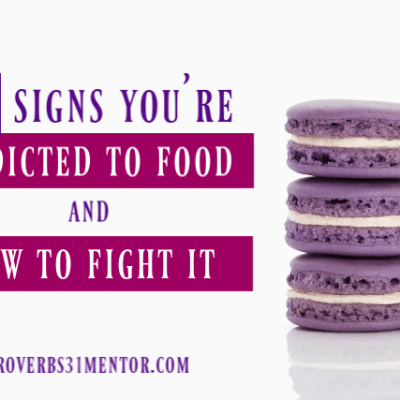 If we’re not careful, dirty laundry, baseball practice, homework, dinner prep, and a variety of other things interrupt our good intentions of growing in faith. Still, the dirty dishes mean nothing compared to the heartache of watching children make decisions without the influence of their faith. So, as parents, we have to make it a priority to keep our children as focused on God as possible. However, this process doesn’t have to be complicated or overwhelming! Here’s how to incorporate faith into your family even when life is busy. As parents, we should expose our children to positive, faith based messages as often as we can and in any way we can. Music is great for promoting these messages. While in the car, traveling all over the place, play praise and worship music. While cooking dinner or folding laundry, have praise music going. These songs have positive, uplifting messages that will help your children – and it might even help your mood a little. I know it does mine. What’s even better – my oldest has gotten old enough that he really listens to the words and on occasion he will ask about what the lyrics mean. I love having the opportunity to teach my child what the Word of God says and what it is like to have a relationship with Christ. For five years now, I have packed a lunch for my picky eater, and each day I write a note on his napkin. Many days I write a short Scripture on it. Also, I love that my son knows I am thinking about him even when we are not together. These notes even allow me to encourage him in ways I may not take the time to do otherwise. And what better way to encourage our children than through Scripture? 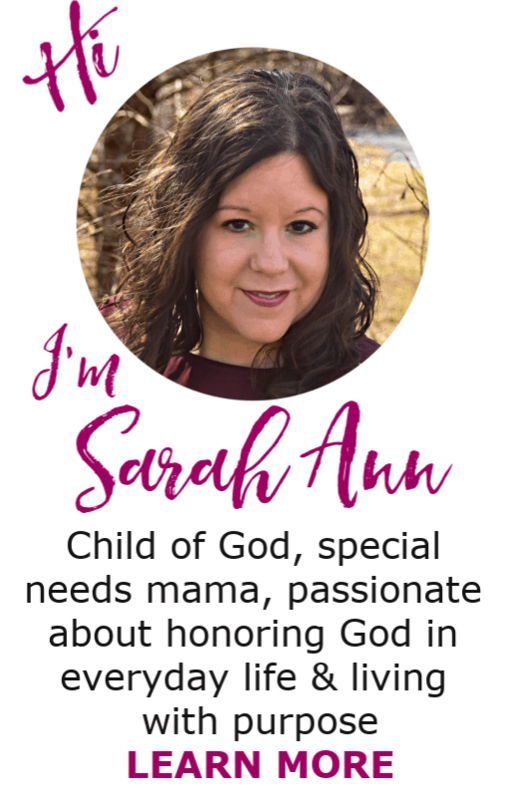 Notes left in lunch boxes, on mirrors, by night stands, or where ever your children may find them, is a great way to remind our children of the important lessons in Scripture. While I think daily devotions are great, when it comes to raising children to love the Lord, there is no substitute for reading His Word. However, I completely understand that reading the Bible can be intimidating, especially with our children. One solution I found is that I use a Scripture writing plan. Since the verses are meant to be written out, they are never very long and they are usually topical. Choose one with topics relevant to your family life and your child. I print it out and keep it on my son’s nightstand with his Bible. Each night right before bed, we read the Scripture together. Then, I ask him to find the verse in the Bible to encourage his familiarity with the Bible. He reads it to me and then we discuss the meaning together. 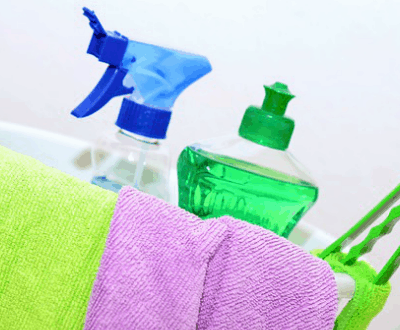 While this routine works for us, you can manage it however would be best for your family. Even though the whole process doesn’t take longer than 5 minutes, I know the principles I am reinforcing are really invaluable. 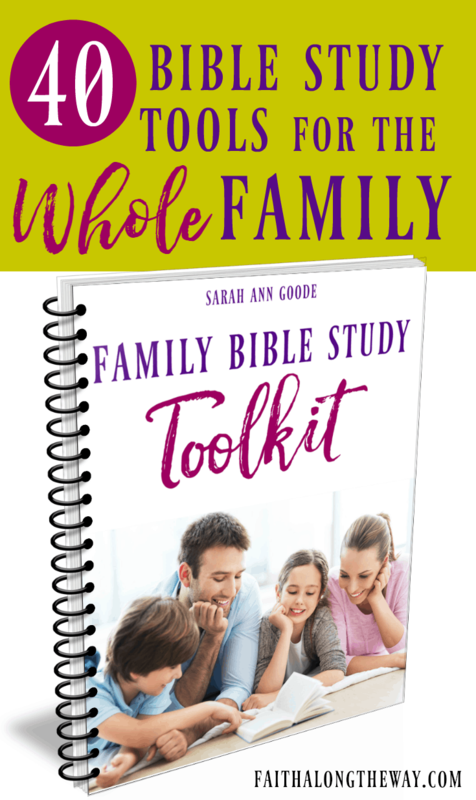 If you need more ideas for how to make family Bible study work for you, don’t miss this simple video tutorial. 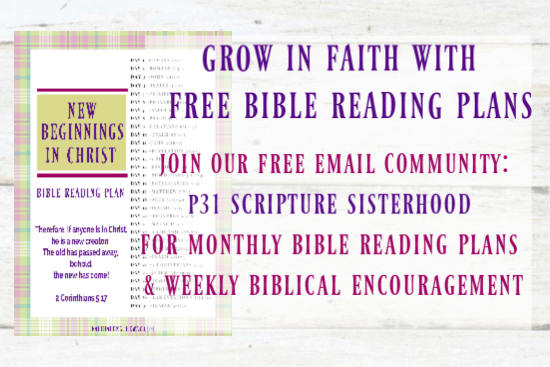 Helping your child establish a lifelong love of God’s Word is easier than you think! First, I hope your family shares at least one meal a day together. I know we all have those days but I pray the normal is for your family to eat together. It’s a simple way to focus on faith while connecting as a family. Each member of the family can take turns saying a quick prayer over the meal. The younger ones learn to pray from the example of the older ones and I believe we can learn something from everyone’s prayer. Then, weave topics of Jesus, His character, and His blessings into the conversation. 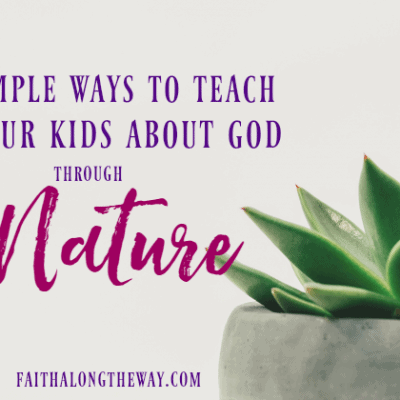 Naturally discussing your faith in your home helps children recognize the importance of a personal relationship with the Lord and how all aspects of life revolve around Him. When you focus on faith as a family, church attendance should be a top priority! However, I know how it is to have Saturdays booked solid and feel like your only day of rest is Sunday. And I know how tempting it is to sleep late one day of the week. I get it. But I also know how priceless church attendance is for the family. While attending church, all family members can grow their faith both independently and as a family unit. Each family member gains valuable friendships with like-minded people. Also, each family member can learn what godly service looks like. When we make church attendance a priority, we are creating habits our children will be more likely to carry into adulthood. I know most Christian parents just want to see their children grow and mature in their faith and go where God leads. Church attendance helps encourage those goals. Life is busy, but even with the best laid intentions, we often let our faith practices slip through the cracks. 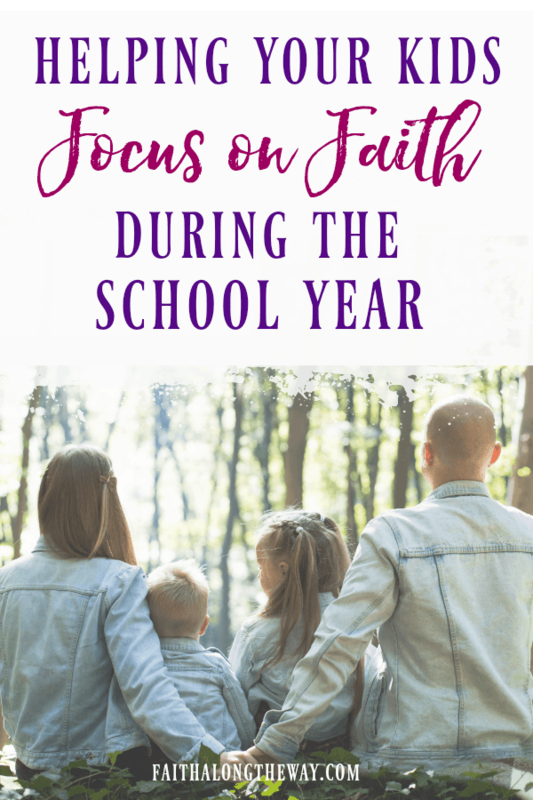 Hopefully, these five little practices can help your family focus on faith this school year in a natural way! 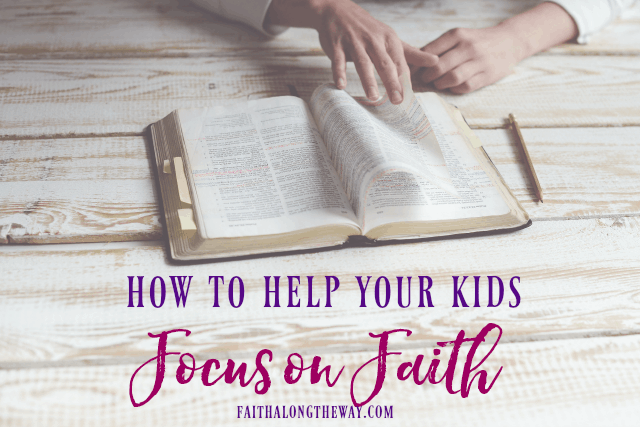 How do you help your kids focus on faith when life is busy?